- Miller, C walked (3-1 KBBBB). 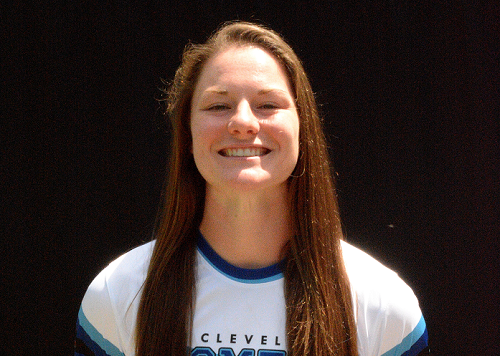 - Fei Fei, L reached on a fielder's choice (0-1 K); Miller, C advanced to second on a throwing error by 3b. - Robinson, S struck out looking (0-2 SKK). - Rhodes, J fouled out to c (1-0 B). - Jing, Z flied out to lf (1-1 KB). - Long, V tripled to right field (1-1 BF). - Keevers, S struck out swinging (2-2 BSBFFS). - Porter, S doubled to left center, ground-rule, RBI (0-1 K); Long, V scored. - Tsitsikronis flied out to rf (2-0 BB); Porter, S advanced to third. - Sorensen, C fouled out to 1b (3-1 BBKB). - Peterson, A fouled out to 1b (2-1 SBB). - Xun, S grounded out to ss (0-1 F). - Xinyue, J singled to left center (1-1 KB). - Huaining, Y grounded out to 2b (1-1 KB). - Wall, J doubled down the lf line (1-0 B). - Warwick, C flied out to cf (2-1 BBF). - Lack, R singled, bunt (0-1 K); Wall, J advanced to third. - Whitefield popped up to 2b (0-0). - Lack, R out at first c to 2b to 1b, caught stealing; Wall, J scored. - Miller, C grounded out to 2b (0-1 F). - Fei Fei, L reached on an error by 2b (2-2 BSSB). - Robinson, S struck out looking (2-2 BFBSFK). - Rhodes, J singled to left field (2-1 KBB); Fei Fei, L advanced to second. - Jing, Z struck out swinging (1-2 KBFS). - Long, V walked (3-1 FBBBB). - Keevers, S reached on a fielder's choice (1-0 B); Long, V out at second ss to 2b. - Porter, S singled through the left side, advanced to second on the throw (2-2 KFBBF); Keevers, S advanced to third. - Tsitsikronis grounded out to p, RBI (1-1 FB); Porter, S advanced to third; Keevers, S scored. - Sorensen, C singled through the right side, RBI (0-1 K); Porter, S scored. - Wall, J popped up to 1b (2-1 SBB). - Peterson, A struck out looking (3-2 KBBFBK). - Xun, S grounded out to ss (0-2 KS). - Xinyue, J singled to center field (1-1 KB). - Huaining, Y struck out looking (1-2 KBKK). - Warwick, C grounded out to 2b (1-1 KB). - Lack, R struck out swinging (2-2 FKBBS). - Whitefield grounded out to ss (0-1 K). - Miller, C struck out looking (3-2 BSSBBK). - Fei Fei, L grounded out to 2b (1-2 KSB). - Robinson, S grounded out to 3b (1-1 BF). - Long, V grounded out to ss (1-0 B). - Keevers, S lined out to ss (2-0 BB). - Porter, S grounded out to 2b (0-0). - Rhodes, J singled to shortstop (3-2 BBSBFFFF). - Yue, X pinch ran for Rhodes, J. - Jing, Z struck out swinging (2-2 BKFBFS). - Peterson, A struck out swinging (2-2 BFBFFS). 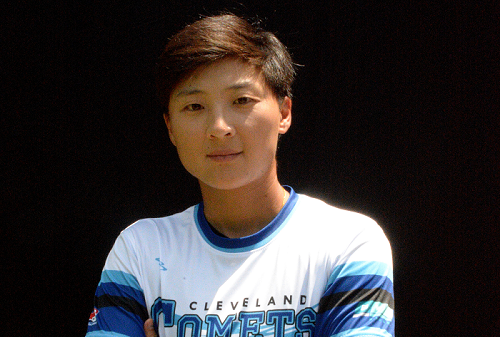 - Yang, C pinch hit for Xun, S.
- Yang, C struck out swinging (2-2 KBBSS). - Rhodes, J to 1b for Yue, X. - Yang, C to rf. - ZiXuan, D to lf for Huaining, Y. - Tsitsikronis singled through the right side (1-1 BF). - Sorensen, C hit by pitch (0-0); Tsitsikronis advanced to second. - Lambert, J pinch ran for Tsitsikronis. - Wall, J singled up the middle (1-1 KB); Sorensen, C advanced to second; Lambert, J advanced to third. - Warwick, C singled to right field, advanced to second on the throw, RBI (2-0 BB); Wall, J advanced to third; Sorensen, C advanced to third, out at home rf to c; Lambert, J scored. - Lack, R singled up the middle, RBI (1-2 FFB); Warwick, C advanced to third; Wall, J scored. - McManus, S pinch hit for Whitefield. - McManus, S struck out swinging (2-2 KBBFS). - Long, V singled to center field, RBI (1-1 BK); Lack, R advanced to third; Warwick, C scored. - Keevers, S grounded out to 3b (0-1 F). - Tsitsikronis to 1b for Lambert, J. - McManus, S to 2b. - Xinyue, J struck out looking (1-2 BSSK). - ZiXuan, D struck out swinging (2-2 SKBBS). - Miller, C grounded out to ss (2-2 BKFB).